It seemed to us that the stock exhaust on the 2007-17 Jeep JK was missing something in both the performance and sound departments. So we took it upon ourselves to remedy he situation. What we came up with is this HGC exhaust system. lifetime warranty on Jeep's powertrain and intend to keep for long time. easy. Out with the AFe and in with the Pypes! Thought the exhaust system would have a mort thoaty agressive sound. This system is quieter than I thought it would be. Price. Looks and sounds great. Fit great. The sound is mean but clean. Shaved a lot of weight from the jeep and it sits high and out of the way. Throughly blown away by sound and quality and price. All positive as long as the 304 stainless holds up during our Ohio weather. that rating. Cited it as very satisfied as it did exactly what I needed I to (quiet the exhaust a little - was running with no muffler before - and make the exhaust exit more to the rear of the vehicle). This was almost as easy to install as floor mats. I was fortunate, didn't have to cut for my 4dr. I will say, it's a little too loud for me. But I wasn't buying for sound, I was buying for clearance. 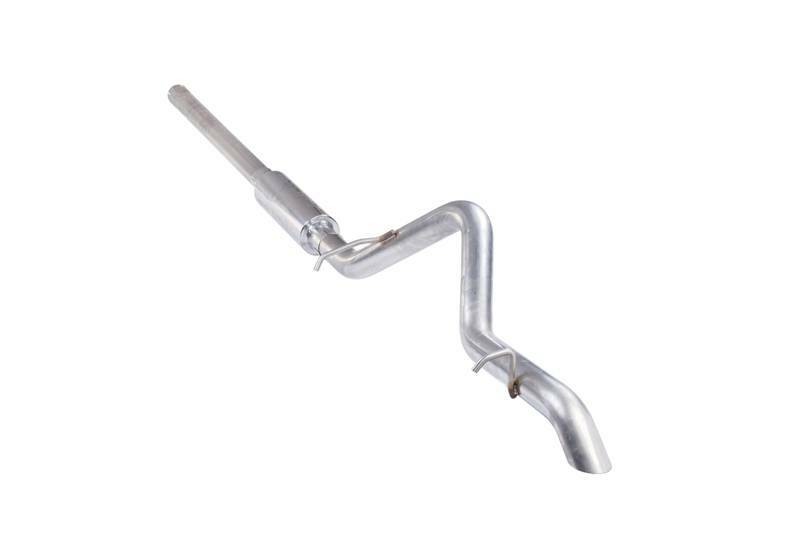 I was looking for a high tuck exhaust system and something that sounds mean, as well as good. There are a lot of options out there, but 75% of them will give the 3.6L V6 a ricer sound and only about 3 systems out there actually offer a high tuck option. 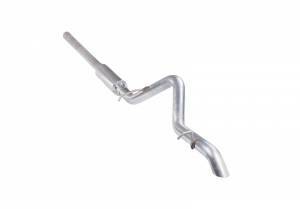 I was originally going to go with the Magnaflow rock krawler series until I came across this Pypes exhaust system. After watching a few youtube videos on the sound and quality, I ended up saving 300+ and went with the Pypes exhaust system. I must be deaf or something, because I don't find this exhaust system loud at all, like some people have mention. It's a mild aggressive sound and I really like it, I have already sold my friends on it. I paid 200 for this system, can't beat that especially since it's 304 stainless. I was worried about the how my Jeep would sound, but was suprised after installation. Now my Jeep sounds great.